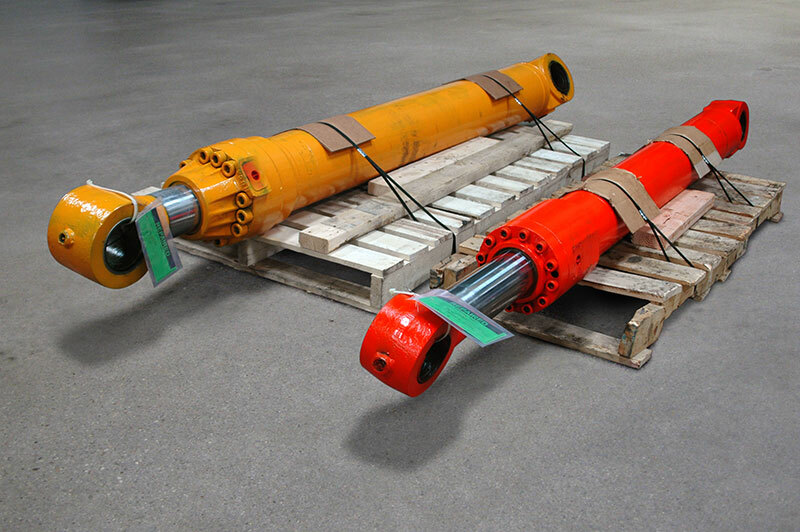 We repair all makes and models of standard and custom hydraulic cylinders. Our advanced hydraulic cylinder repair services utilize an overhead crane that allows us to repair cylinders to 20 inches in bore and 240 inches of stroke. Custom rods, bodies, and seals are available to repair special or custom cylinders. All hydraulic cylinder repair is tested to the manufacturer’s specifications. All repairs, testing, and calibration are performed at our York, PA location. New rod inserted into the cylinder. Contact us for expedited and quick delivery options.